The first hole starts in the direction of the Grosser Mythen. From the first tee it becomes obvious that the golf course combines sport with a magnificent panorama for an all-in-one experience. The complex is located at 700 metres above sea level in the midst of a magnificent mountain panorama. 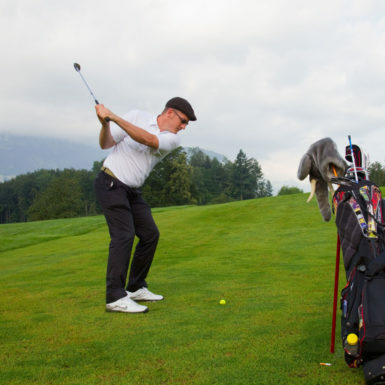 Playing golf is not complicated here: drop by, go to the reception and set off for the first tee. Without waiting time and without prior notice. All players with a license to play are welcome. You can relax at the cosy restaurant after your sporting performance. The restaurant is public and is a short walk away from the village. In the 19th century, Morschach became a popular holiday destination for guests from all around the world. They stayed at the luxury hotels “Axenstein” and “Palace Axenfels”. 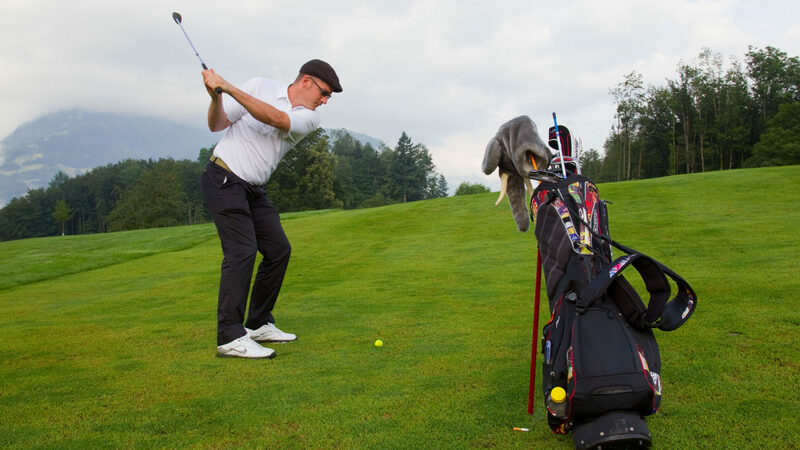 In 1904, the “Palace Axenfels” opened a golf course for English golfers. It was considered the most beautiful complex in the country. 20 years later “Axenstein” followed. The Second World War put an end to the idyllic holiday resort. The hotels disappeared and the golf courses were turned into agricultural land. 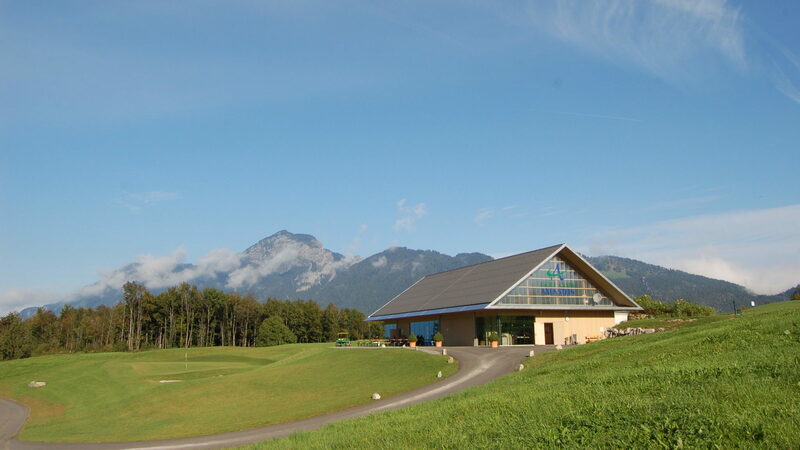 In 2006, the new modern Golf Course Axenstein was built. 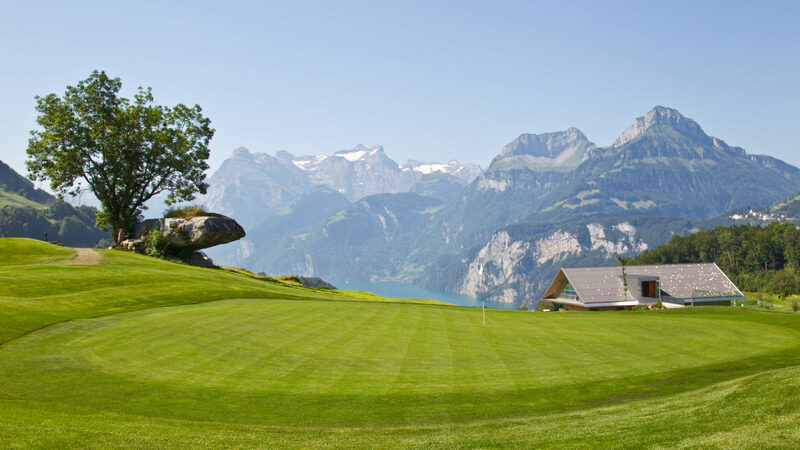 By e-mail to sekretariat@golfclub-axenstein.ch or by phone at +41 41 825 41 00.